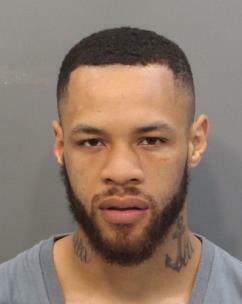 Federal agents have charged a Chattanooga man with threatening a federal witness. Agents said they obtained screen shots of Facebook threats by Hinton against family members of a witness who was meeting with federal prosecutors for a possible case against Hinton. One message from April 6 said, "Your daughter is snitching and the streets know. She better be careful and watch over her kids. She will learn from it, trust me." A message sent to another family member on April 9 said, "Well tell her that Keyon boy knows everything and he was asking about your kids and he knows they stay in two different spots. He knows everything. Just make sure you tell her all that before she goes to them Tuesday. "Just tell her I might go to jail but she not going to get away with it. She gone feel it. "And don't show her or screen shot my messages. Don't try to get these messages to the police. Just tell her." Agents said they have been told that Hinton is a large-scale meth dealer and that on one occasion he left town for awhile because he had shot a female at Southside Social. They said Hinton is currently under investigation for drug trafficking as well as homicide. Hinton has two felony convictions from 2014. He was given four years probation in state court for possession of marijuana for resale.